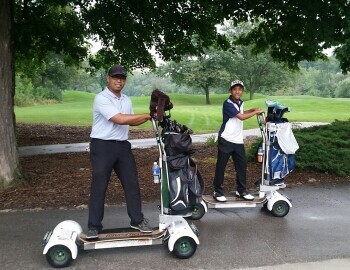 GolfBoards Are Up & Running! "I played nine holes with my son on the GolfBoard. It is a very fun way to travel around the golf course. It only took a few minutes on the board to get used to the controls. It is sturdy and safe. Chick Evans needs to get more of these boards so we can have the rest of the family on them!" Book your next tee time now and join the GolfBoard Revolution!